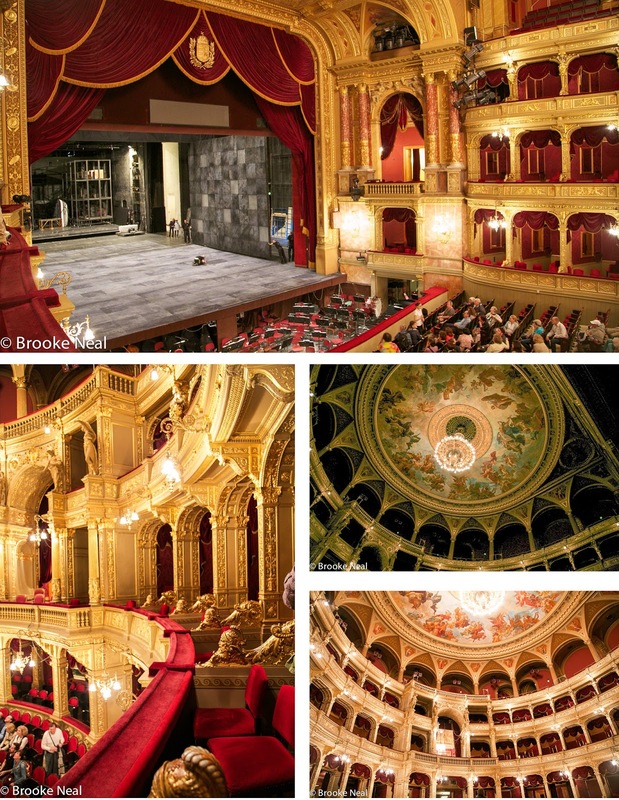 Nothing says turn of the century opulence like an opera house and Budapest's is no different. Opened in 1884, its red velvet draping, gold gilded wood and Neoclassic paintings all have the look and feel of a bygone era. While I love an old building, my family is not so keen on actually sitting through an opera in order for me to see one. Lucky for us, the opera house is open to the public for tours. 45 minutes is all you need to see this beautiful structure and learn about the upper class elites who once filled its halls in their tiered, trained and bustled dresses, walking canes and top hats to boot. Oh how ornate, like most buildings I've seen from that part of the world. WOW! Sigh! It is splendid!! Oh my! That is truly magnificent architecture! Have been to Hungary and also Budapest looong time ago -I don't know how Hungary fares now but 20 years ago the opulent inside of this building was a leftover of a glory that was faded, like more buildings in Europe! How are things now (you commented a while ago on cultural adjustment)? Hope better? What gorgeous shots of the interior. A fabulous building from a bygone age. Budapest is an amazing city. Great shots! What a magnificent building. Your photos are fabulous. Budapest is a city I would like to see. Oh boy...Budapest is on the TOP of my travel bucket list. Can't wait to see this in person some day. But for now, your photography transports me there. Thank you! What a gorgeous building. Recently, I visited the Palau de la Musica Catalana in Barcelona and it was a masterpiece. I am a bit excited about opera houses and theaters now. So elegant! I hope to visit Budapest one day!